Do you ever worry about finding someone? Keeping someone? Marrying someone? As Valentine’s Day approaches, you or someone you know might be wondering if God has forgotten about you when it comes to a love relationship in your life. 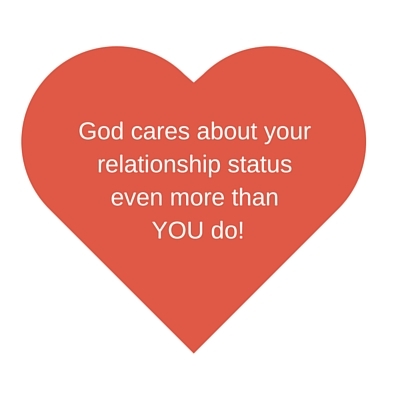 But God is even more concerned about your relationship status than you are. God gave us relationships to mirror the kind of relationship He wants to have with each of us (Ephesians 5:30-32). So He wants our relationships to be healthy and God-honoring. He gives us friendships, so we can understand unconditional love. He designed the marriage relationship, so we can understand the concept of dying to self and giving of oneself completely to another. 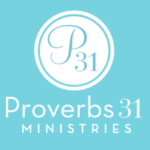 He has given us parent-child relationships, so we can understand the fierce, protective love that won’t falter regardless of what our children do. But I truly believe God wants us to cultivate an intimate relationship with Him above any other so we can know where to begin in cultivating relationships with others. If we don’t know how to love and be loved by God, we’ll suffer in our other relationships. 1. God may be protecting you from something you can’t yet (and might not ever) see. 2. God may be waiting for the right time to bring someone far better into your life than you had thought to ask for. 4. God knows He is the Only One who can fulfill you completely. So He may be keeping you where you are until you know what it means to be complete in His love. 5. God promises that He works ALL things (relationships included) for good to those who love Him and are called according to His purpose (Romans 8:28). As you do this, you can go boldly into Valentine’s Day, knowing your relationship status is “fully loved” when it comes to God. For more on living a worry-free life, see my new book, 10 Secrets to Becoming a Worry-Free Mom, now available in my online store. on 5 Reasons You Don’t Need to Worry About Love. As of now God is my strength for what I’m struggling right now .. It’s really hard actually but what my thoughts always says just keep my faith on him and everything will be alright soon. ?